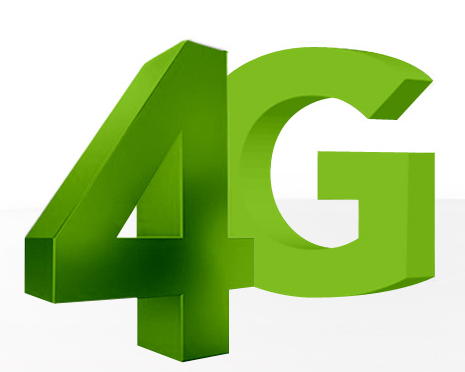 It is not new news that 4G LTE network are now available in Nigeria though they are not available all over Nigeria but in due time it will spread as fast as anything. 4G as it is called is far more than the 3G we shout about and also far faster Edge we cry about in Nigeria. Normally we wait for our mobile network provider to introduce the 4G network but this time different companies brought the 4G LTE network to Nigeria and they are Spectranet, Swift and Smile. Spectranet has been in Nigeria for a while now and it has managed to cover Lagos and has now also covered Abuja too, and as you know these are the most business oriented states in Nigeria but Smile is a new comer I don’t think it has spent up to a year in Nigeria and it has only covered some parts in Nigeria and also Swift has been in Nigeria for a very long while now and has showed how good its services are to Lagos users. So in this post am going to be sharing your the 4G LTE Plans For both Spectranet, Swift and Smile including their prices but I suggest if you are going to pick any plan from Smile I suggest you check if your area is covered. Swift also is only available in lagos and also verify if your location is covered by the 4G network. 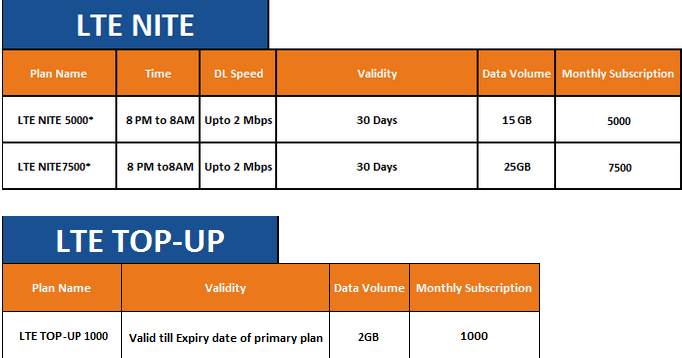 Swift seperated its plan and the are Individual, Business and Residential plan and these are the bandwidth and price below. There you have it, the 4G network providers and also there plan, from the post you will find out that they cover lagos first and I think because that the major Nigerian business state. 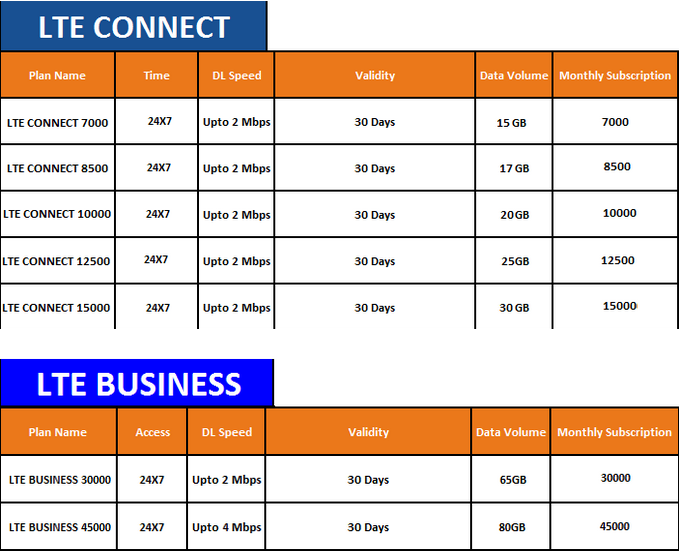 These are the plans and prices of the plans of Spectranet, Swift and Smile the 4G network providers in Nigeria. I currently use Spectranet and their network is very slow. Most times it just stops working. I am thinking of changing to Smile4g as it seems to be very fast for now. The speed will most likely reduce as more customers subscribe. This is what happened with Starcomm. I have been using Swift for quite sometime now (many years actually), after trying out iPNX services, one of the pioneer ISPs. I must say their service is quite good and the network fast. Infact, I currently have 3 of their modems, including the Swift Nomad, a battery-driven, mifi device. My only grouse with them is that when using the multi-user modem for browsing, they have a way of zapping your data balance, probably so that you can quickly renew the subscription. I had to send a mail to them once on the issue, after losing big chunks of my data on many occasions. They did not reply nor correct the problem (or is it a practice?). However, that does not happen with the Nomad modem, which I now use all the time, together with all the members of my family of Windows, Android, Blackberry, Nokia and iOS devices (laptops, iPod, phones and tablets) users. Really I noticed same thing with my abnormal zapping on the indoor multi-user modem, i complained twice but no good response. I am thinking of switching as they cover only lagos and don’t have plans of expansion anytime soon. I need internet out of town. Smile zaps data too much, anyone with same experience? I have an issue with their mifi modem. It takes forever to charge and when fully charged, does not last as long as one would expect. More annoying is when the battery gets drained. One would expect that it would power up as soon as you plug it to a power source but that isn’t the case. You have to wait for about 30 minutes after you plug it to power to get it to power on. Is this normal? or am I the only one experiencing this? My problem with spectranet is that they do not carry over un-used balance. why? spectranet is doing roll over now, if only you pay before the expiring date. pls get ur facts straight smile isn’t only in lagos, they launched in ibadan before lagos and they are now in lagos ibadan ph and abuja. it’s still d fastest and u can get up to 6-21mbps. it zaps data cos the network is very fast and u can reduce ur speed if u want, i use smile and i’m really impressed, they now cover most parts of lagos and they wont sell u a device if ur area isnt covered unlike some isps. Smile is the only isp that gives you guaranteed average speed of 6-21mbp, quality and reliability as you stream through the internet. i heard some people complaining of zapping their data, but i still want to tell them that good soup is money determinant. Also, smile gives u opportunity to adjust ur speed. smile is currently the only isp that keeps you connected when you run out of data within the validity period based on the bundle you used & this is called smileON. I quite agree with everything you said about Smile. 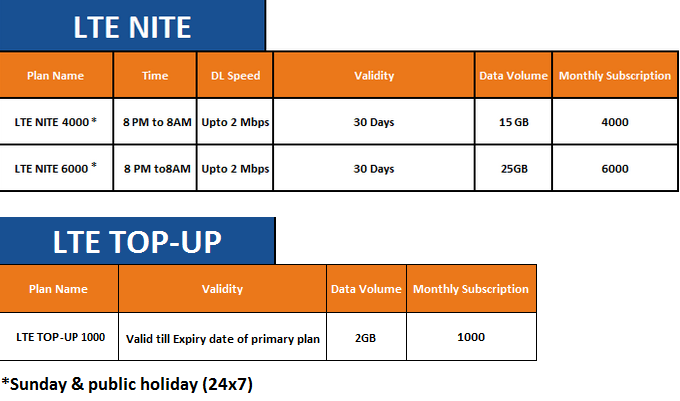 Also to correct the original post, data bundles 10GB and above on Smile have validity as 12months not 30days. Smile mifi moderm is just a scam, the bring in substandard devices which keeps going bad. And if there should be a scratch on yours they will tell you they cannot change it when they know very well that they sold fake devices. Beware of them. Yes that’s true. My first mifi packed up with a month of use. I took it back to them and they didn’t show any surprise they just replaced it. They should improve on the reliability of the hardware. Which of these will be recommended for Ogun State. I live along the Lagos/ Ibadan expressway. Which ISP covers that area. 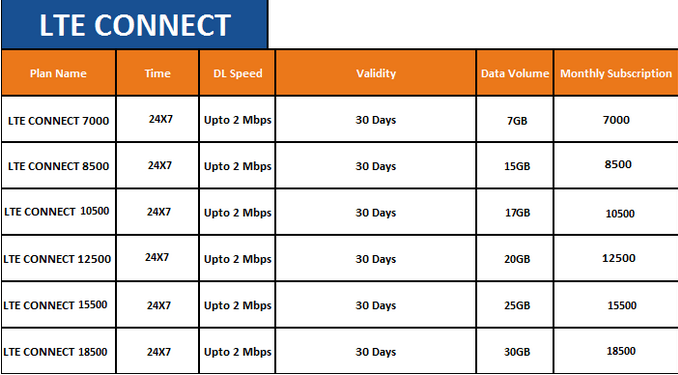 spectranet 4GLTE,08133044232 for more info. I leave at Lusada Ogun state close to Agbara, pls which of the as network can I use? I prefer Smile because there speed is impressive and network reliable (if your area is well covered). What stands out is the 12months validity of bundles. If you travel out a lot you don’t have to worry about losing unused data nor rolling over. Secondly even when you exhaust your data, Smile still keeps you connected enough to access some websites. What more can you ask for. Money makes good soup! The comments are brief. There is need to provide update on brand coverage for people living or doing business around Ibafo (2ndLagos), Ota (3rd Lagos). still very expensive.i am from an european country and for internet i am paying every month 9 dollars.speed is 35 MB ,fiber optic connection,unlimited download.i am downloading 1GB in 6 minutes. Comments here seem to come from sales reps of Smile. So similar and rehearsed. It will be nice to get unbiased true user reviews. Especially regarding coverage questions posted. Plus “good soup is money determinant” or “money makes good soup”, are not good responses to the argument of why “it zaps data”. Wish real users would post, and sales reps were lost. By User, not sales rep.
A work around: Set your bandwidth to throttle(cap) at 600MB/s. That’s high enough to stream HQ videos without buffering, do you get good enough pictures without draining so fast. My thoughts exactly! Way too obvious, Smile’s digital media team is doing a good job on this thread. lol! but come on guys. I need reviews from actual users. I want to get a mifi, and I hear Spectranet is really slow even though it is offered at an amazing price, so i’m torn between Smile and Swift. – Allowing customers to enjoy their data over a twelve month period is the way to go for convenience! – Depending on what you are using it for, and the number of connected devices, the speed is sufficient at least 90% of the time (it can reach 1Mb most times). – The network doesn’t appear to be disrupted by rainfall/bad weather as is the case with some other networks. *** On the downside, when you compare the price per GB of Smile with other networks, Smile is presently too expensive!!! I uses spectranet,and am really enjoying it! I personally haven’t used Spectranet it yet but it is no doubt a great option from a price perspective. any idea if smile or spectranet covers OMI ADIO AREA,that is after APATA ODO ONA in IBADAN. I am Invited to participate in Skype interview for a PhD studentship in UK. Efficient video and audio connection is a critical criteria for success. They said that a missing audio and video means non attendant at the interview. I stay in ONDO town, ONDO State, Nigeria. I found out that there is no 4G in Ondo. Which location has the best (highest) 4G network in Ibadan (I dont mind going there for the interview)? Which network do I use? Which plan do I go for? I don’t have a 4G device yet (don’t mind getting one for the interview). I will appreciate an honest advice by users not agents (marketers). It’s not advisable for any reason Nigeria that suffer for his/her money to be using Spectranet though I used to be their customer until I have to put a stop since they don’t regards we the customers! Thirdly, Spectranet does not have regards for their customers and feel that their user can not do without them, you will be frustrated any time you call their customer service. Please I need to know how much swift nomad currently costs and how much data does it come with at 1st..